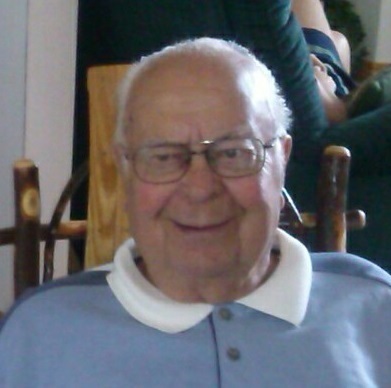 Arnold Lee Mehringer, age 82 of Jasper, Indiana, passed away at 6:50 a.m. on Monday, April 2, 2018 at Cathedral Health in Jasper, IN. Arnold was born on March 13, 1936 in Jasper, Indiana to William and Ottilia (Stenftenagel) Mehringer. He married Betty Ann Smith on January 28, 1956 in St. Celestine Catholic Church. Arnold retired as a lineman for Jasper Municipal Utilities Electric Department after 38 years of service. He also bartended part time at the Chicken Place in Ireland for over 23 years. He was a member of Precious Blood Catholic Church and Jasper Outdoor Recreation. He enjoyed hunting, fishing, picking pecans, cooking, and in his leisure time he also enjoyed quilting and coloring. He was also an avid Cincinnati Reds and IU Basketball fan. Surviving are his wife, Betty Ann Mehringer, Jasper, IN, three daughters; Sandy Mehringer Johnson, Ripley, WV, Joyce Mehringer Siddons, Jasper, Jill Mehringer Kress (Nick), Jasper, three sons; Wayne Mehringer; Ripley, WV, Stan Mehringer (Karen), Dubois, and Brett Mehringer (fiancé Stacy Werner), Velpen, thirteen grandchildren, four great grandchildren, one sister; Betty Ann Lechner (Thomas), Jasper, one sister-in-law; Rosie Mehringer, Jasper. Preceding him in death were two brothers, Linus and Orville Mehringer. A Mass of Christian Burial for Arnold Lee Mehringer will be held at 10:00 a.m. on Friday, April 6, 2018 at Precious Blood Catholic Church in Jasper, with entombment to follow at Fairview Cemetery Mausoleum in Jasper. A visitation will be held from 2:00-8:00 p.m. on Thursday, April 5, 2018 at the Becher-Kluesner Downtown Chapel in Jasper, Indiana. The Precious Blood Parish will pray the rosary at 1:45 p.m. Memorial contributions may be made to Precious Blood Catholic Church, Dubois County Humane Society, or to a favorite charity.